I really wanted to like the new Vampire Weekend album – really, I did. But alas, it was not to be. And not in a “this band is too popular therefore I must now hate them” way. More like a “I wanted this album to be good but, man… bummer” way . I absolutely loved VW’self titled debut, and after Ezra Koenig’s fantastic turn in The Very Best’s Warm Heart of Africa last year I was hoping for great things. But with Contra it seems that everything that was so ebullient about their previous work has been watered down to a lukewarm broth. The once potent hooks (some of the best hooks of 08’) seem to have lost their virility. The great kwassa inspiration that used to lounge in the driver’s seat now mostly elbows for room with new wave synthesizers. Even the lyricism seems to have gotten downright willfully irritating (Every time I hear “In December, drinking horchata, I’d look psychoTIC in a balaclava” I want to rip my ears out). In short – it’s a red-headed stepchild of a sophomore effort. That isn’t to say it’s all bad though. A Buoyantly chipper surf-jam ‘Cousins” still captures some of the old magic – as does the M.I.A. sampled gem “Diplomat’s Son.” In perhaps the most marked departure from the band’s old sound “I Think UR a Contra,” the band succeeds in creating a dreamy psychedelic lullabye. It’s just not enough to carry the record though – especially with a auto-tune nightmare like ‘California English” dragging down the curve and wrecking the day of anyone who happens to hear it. 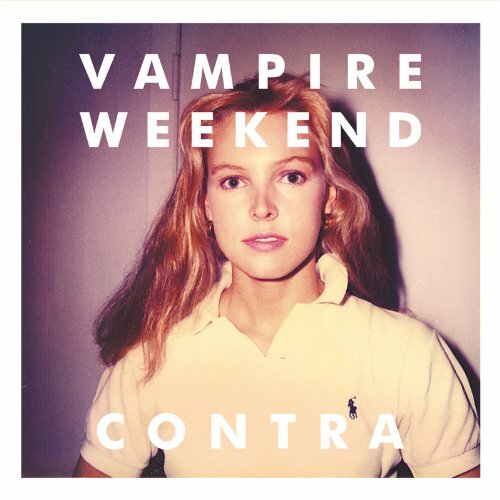 By some measures though Contra is considered a success – Vampire Weekend is the epitome of a Pitchfork baby and the indie kingmakers are not flinching. Plenty of others are chiming in to proclaim the love as well so I am willing to admit that I may be wrong about this one. That still, however, certainly doesn’t make me want to listen to Contra any more than I have to. Vampire Weekend are coming to Minneapolis’s First Ave on March 22nd. Ludicrously expensive tickets will be available at the Electric Fetus.